written and directed by Dan Dillard. Anderson Wake goes home to settle his mother’s estate and reasons behind their rocky relationship. The answers he finds will haunt him for the rest of his life. Ever since he saw his first movie in the movie theater at the age of 8 – Disney’s “The Black Cauldron” – Hauke fell in love with movies and knew he wanted to be on the silver screen some day. It only took him a measly 25 years to get serious about it and pursue his passion of acting. In 2012, he landed his first small gig in a car commercial in Los Angeles. He then moved to Germany for a few months, where he guest starred in an episode of a daytime TV soap opera. In 2013, life took him back to the United States, this time to Bloomington, Indiana. Since then, he has starred in several independent productions and commercials all over the Midwest, steadily building his portfolio and regional presence. Gabrielle Bousum has been in love with acting since she was a child. Between plays at school and writing/performing her own plays for her parents–which she really appreciates them tolerating–she found a love for the arts that became a passion and obsession throughout the years. She quit acting for a few years because she was told “she needed to get her head out of the clouds.” She has tried a million jobs but always came back to the thing that made her heart beat faster. She couldn’t be happier that she told the negative people to get out of her way and really decided to go for it. A daughter of fine artist parents in northern Indiana, Annalese moved to Bloomington, Indiana as a young woman to study photography and journalism at Indiana University. With her degree in photojournalism, she worked many years as the chief photographer for IU. She then started her own business, Poorman Photo, shooting portraits, events and scenes for many different publications and slideshow productions. Her great love of travel, and a British travel-embracing husband, took her many places in the world, capturing artistic images around the globe, keeping her fine arts background alive. Raising two beautiful children has been the highlight of Annalese’s life, and not quite an empty nester, but close, she now takes time to revive a long-standing passion for acting AND holistic healthcare. Now, Annalese works on BOTH sides of the camera, shooting still pictures, and is acting in films and commercials. And after a long career as photographer and mom, she is once again a student, pursuing a healthcare degree while also student teaching in Anatomy & Physiology at the Bloomington Ivy Tech college. Additionally, being the anchor person for Bloomington Community Access Television, delivering the weekly community news is a real focal point to feeling part of her local Bloomington life. And introducing Ben Allender as Young Anderson Wake and G. Hooie as A.J. Anderson Wake follows its namesake as he returns to his childhood home after his mother’s death. Anderson is looking for answers to questions about his upbringing, why he was shut out by his own mother, and clues about his father who he never knew. Shot in Bloomington, Indiana over five non-consecutive days in the fall of 2016, the film was a volunteer project written and directed by Dan Dillard with cinematography by Brett Pittman. It stars Hauke Bahr in the title role. Gabrielle Bousum and Annalese Poorman play the supporting roles of Anderson’s wife and mother, respectfully, and Ben Allender and G. Hooie make their debuts. Musical score was composed and performed by Josh Beck and Sean Campbell. All cast and crew are Indiana residents. Visit our Facebook page for more details and upcoming news! Alien: After a space merchant vessel perceives an unknown transmission as distress call, their landing on the source moon finds one of the crew attacked by a mysterious lifeform. Continuing their journey back to Earth with the attacked crew having recovered and the critter deceased, they soon realize that its life cycle has merely begun. Brian Moreland writes horror novels and short stories that get your heart pumpin’. He’s published eight books, including Dead of Winter, Shadows in the Mist, and Darkness Rising. Brian lives in Dallas, Texas where he wrangles monsters from other worlds. He’s dealt with his share of ghosts and serial killers too. For fun, Brian loves watching Dallas Cowboys football, world travel, and exploring caves. Brian is an active member of the horror writer’s group Pen of the Damned. Sotet Angyal, The Dark Angel – Dark emotive flash fiction written by me. Mark is an active member of the horror writer’s group Pen of the Damned. When a strange creature crawls into a woman’s uterus she becomes a killer in order to feed the tiny terror growing within her. Lee A. Forman is a fiction writer from the Hudson Valley, NY. His fascination with the macabre began in childhood, watching old movies and reading everything he could get his hands on. He’s a third generation horror fanatic, starting with his grandfather who was a fan of the classic Hollywood Monsters. 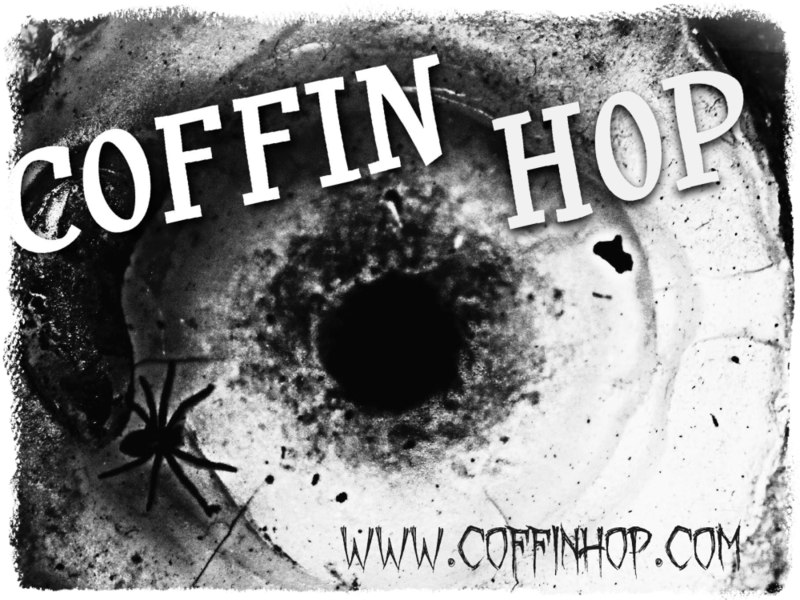 His work has been published in multiple horror magazines, anthologies, and podcasts. When he’s not crafting horrifying creatures and tales of terror, he spends his time editing, playing guitar and writing music. Lee is an active member of the horror writer’s group Pen of the Damned. The desire for a new life turns a jealous obsession into a disturbing game of identity theft in this terrifying psychological thriller based on a true story. Homely loner Caroline (Ruth Bradley) longs to escape her tormented adolescence and finds a way by living vicariously through popular girl Rachel (Kate Bell), who seemingly has it all. But Caroline s longing to be someone else soon transforms her hope of breaking free of her own life into a twisted need to replace it with Rachel s. Sam Neill, Guy Pearce, and Miranda Otto all give flawless supporting performances as the parents of the two girls whose lives threaten to intertwine in a deadly way.begun. I’d like to say these are my favorites films with strong leading ladies, and they are definitely standouts, but there are so many more. Mostly gone are the days of the virgin final girl, the damsel in distress, the doting and clueless wife, the naked eye candy. 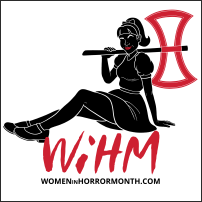 As is often the case with these things, the horror genre may be leading the way. So in no real order, my five choices presented throughout the month of February are my absolute favorites. I’m sure most of you will agree, and maybe even say, “Pfft. Those were too easy.” For those people, I threw a fairly obscure film into the mix that I think everyone should watch. Honorable mentions go out to: Charlize Theron as Aileen Wournos in Monster, Christina Ricci as Wednesday in The Addams Family films, Jamie Lee Curtis as Laurie in Halloween, Leslie Easterbrook as Mother Firefly in The Devil’s Rejects, Gretchen Lodge as Molly in Lovely Molly, Jill Larson as Deborah in The Taking of Deborah Logan, and I could go on and on and on. Dan lives in Bloomington, Indiana where it is currently cold and wintry. He is the author of Demons and Other Inconveniences, How to Eat a Human Being, Dig, Light as a Feather and others, Dan has been writing his whole life, but there was always an end goal: Movies. After the short stories, came novels, then screenplays and finally, at forty-two years old, he went back to school to get his Bachelor of Science in Digital Cinematography and start putting some of those stories on the screen. His first non-student film is a short drama with elements of horror entitled “Anderson Wake” based on the short story from his collection, Down the Psycho Path. Look for the short film, produced by DeadLight Films in early 2017. 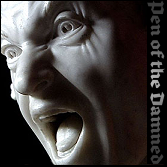 Dan is an alumni member of the horror writer’s group Pen of the Damned. On top of working full time as a Security Checkpoint Coordinator at the Halifax Robert L. Stanfield International Airport and still learning the ropes of being a father, Jon is also a writer of horror and dark fiction. While he writes predominantly about the dark and horrible, he will step out into other areas if the interest is there. He finds enjoyment in expressing his creativity through fiction, poetry, songwriting, painting and thrashing the crap out of his bass guitar. Hunter Shea is the product of a childhood weened on The Night Stalker, The Twilight Zone and In Search Of. He doesn’t just write about the paranormal – he actively seeks out the things that scare the hell out of people and experiences them for himself. Hunter Shea is the product of a childhood weened on The Night Stalker, The Twilight Zone and In Search Of. He doesn’t just write about the paranormal – he actively seeks out the things that scare the hell out of people and experiences them for himself. His novels, Forest of Shadows, Evil Eternal , Swamp Monster Massacre , Sinister Entity, Hell Hole, The Waiting and Island of the Forbidden are published through Samhain Publishing’s horror line. Hell Hole was named Horror Novel Reviews #1 horror novel of 2014. His first thriller novel, The Montauk Monster, was released June, 2014 as a Pinnacle paperback, and was named by Publishers Weekly as one of the best reads of the summer. Hunter is proud to be be one half of the Monster Men video podcast, along with his partner in crime, Jack Campisi. It is one of the most watched horror video podcasts in the world. Monster Men is a light hearted approach to dark subjects. Hunter and Jack explore real life hauntings, monsters, movies, books and everything under the horror sun. 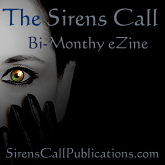 They often interview authors, cryptid and ghost hunters, directors and anyone else living in the horror lane. Living with his wonderful family and two cats, he’s happy to be close enough to New York City to get Gray’s Papaya hotdogs when the craving hits. His daughters have also gotten the horror bug, assisting him with research, story ideas and illustrations that can be seen in magazines such as Dark Dossier.